Heidi Lee. I am an art advisor with a keen eye for contemporary art. I help people buy, appraise, and manage their art. I am currently helping an art collector acquire a few paintings. I grew up in Westchester. I am going to Miami for ArtBasel, and later this year Hong Kong and Korea. There are many heroes like Steve Jobs, Warhol and Duchamp, but my father stands out. He sacrificed a lot for his family, never asked for anything in return and is always so wise, gentle, and loving. He has a beautiful, almost poetic way of looking at life too, often quoting great philosophers. I’m still looking for that one but Ayn Rand’s Atlas Shrugged and Eckhardt Tolle’s The Power of Now have been very influential. I love that first moment when I walk inside an artist’s studio; it’s a peak inside the mind of a genius. I also love yoga and went on my first retreat this summer. It wasn’t as scary as I thought it would be. Live in the moment and live with purpose and passion. All colors are good, especially pink. I love Catwoman and her bodysuits. A sincere smile, a passionate kiss, and brains. Did you see the de Kooning: Retrospective? 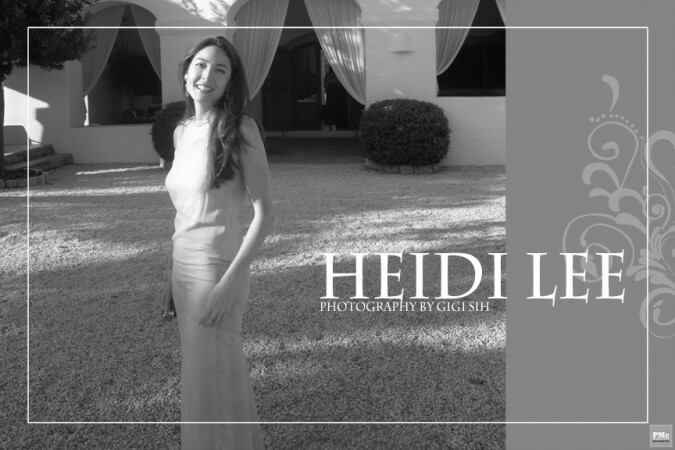 Heidi Lee is an independent art advisor in New York who curates and manages art collections for private and corporate clients all over the world. She founded Heidi Lee Art Advisory in 2002 specializing in modern and contemporary and was co-chair of the New Museum’s Contemporary Council. To date, she has helped collectors acquire and appraise over 500 works of art by internationally acclaimed artists including Mark Rothko, Andy Warhol, and Roy Lichtenstein among others. In addition, she founded EditionedArt, the first online gallery to sell limited editions in the contemporary art world. She has a Master’s in Modern Art from Chrstie’s and is an accredited USPAP appraiser.